This was the glorious sunrise the day after Edna passed away. Elemental experiences like this generate awe and wonder. They connect strongly with our inner being. As my friend Naomi said, now when I see such sunrises I will think of our mum. It makes sense that we have this intimate connection to the elements. They give us life: the air we breath, the water we drink, the food we eat, the energy within us. The elements can also take life, through floods, fire, drought, intense storms and other extreme expressions of external energy. They engender delight, respect…. and in some cases fear. In response to these natural forces, cultures around the world have developed ways of life and wellbeing based on the elements and energy within us. These are epitomised by the energy centres (chakras) and five elements in Ayurveda and Traditional Chinese Medicine. While the elements in the Indian and Chinese systems are different, the teachings are the same – the elements provide us with a detailed explanation of how the energy in our bodies work. Both systems also relate personality types to the elements. We are the elements. 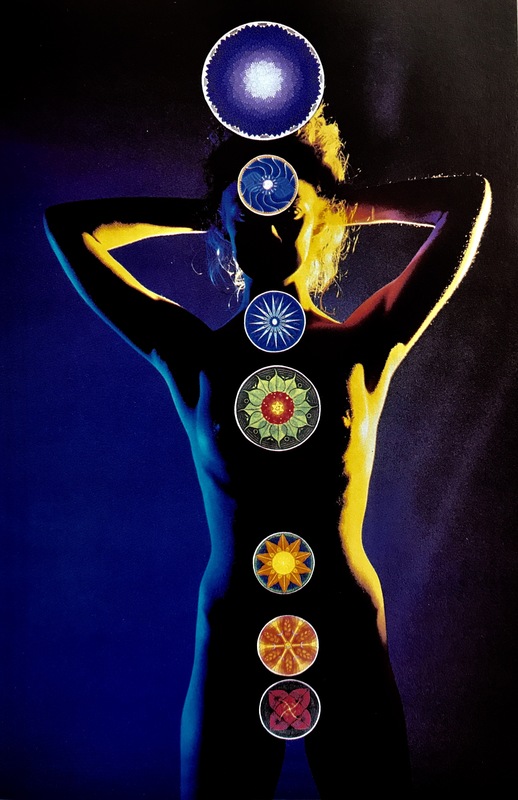 This modified image of the seven chakras is from the book ‘A Study of Shiatsu’ published in 2002. Shiatsu is a Japanese healing art which uses the power of touch through the application of pressure at specific energy points in the body. Traditional Japanese Medicine (Kampo), which includes techniques like those used in Shiatsu, adopted and adapted the Chinese philosophy of Yin-yang and the five elements – earth, water, fire, metal and wood. For over two thousand years the west also used the elements (earth, air, fire and water) as the foundation of their medical practice. The four humors were replaced by a less holistic approach in the 19th century. 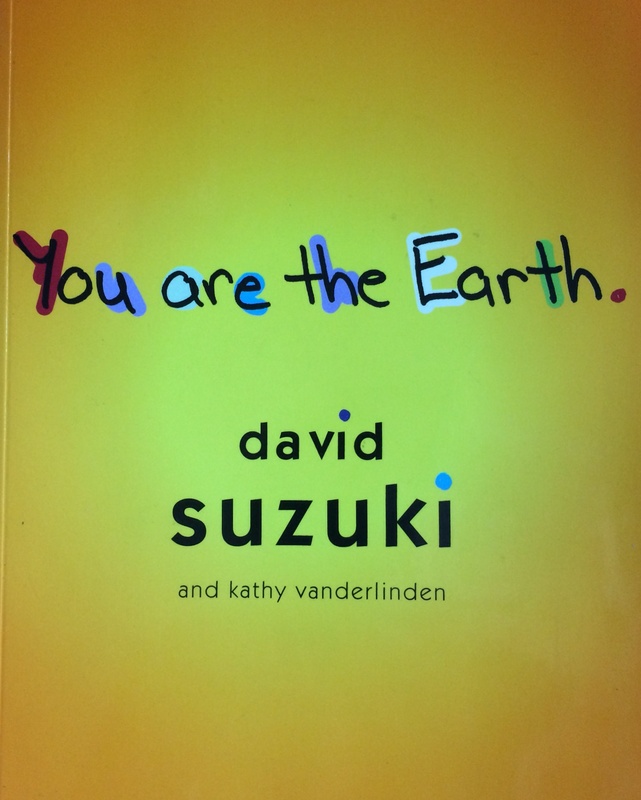 In the 20th century David Suzuki has been at the forefront in the west teaching us, and reminding us, that we and the elements are one. His approach has been strongly influenced by spending time with Indigenous people. Their connection to the natural world is one we can learn from. One of the most striking images I have discovered in my exploration of the elements is reproduced below. This really bought home that we are beings of energy, and the elements. Instead of showing the energy centres/elements within our bodies, the body and its chakras are shown within the Japanese ‘Stupa of the Five Elements‘ (from the bottom up – Earth, Water, Fire, Air and Space/Void). The sixth element, consciousness, is present by implication in the stupa form. The five element stupa (gorinto) is most often seen in Japanese cemeteries, particularly those associated with esoteric Shingon Buddhism. To those who have visited Koyosan it would be very familiar. To me the gorinto symbolises returning to the elements; as Edna has done. Much thanks goes to Professor Adrian Snodgrass who reproduced the image in ‘The Symbolism of the Stupa‘ (1985). These elements are also a fundamental component of the teaching and practices of Shugendo, an ancient and highly syncretic Japanese religion that I am gradually learning more about through reading and direct experience. In September 2014 I gave a presentation at the Ecological Society of Australia conference titled ‘Fire, air, water and earth – An elemental ecology of Tasmania revisited‘. If I gave the presentation again, having now written 100 posts exploring the elements, I would include more images of people and place more emphasis on humans as elemental entities. As many cultures have taught, this way of being connects us with the world around us through flows of energy that shape our planet – past, present and future. 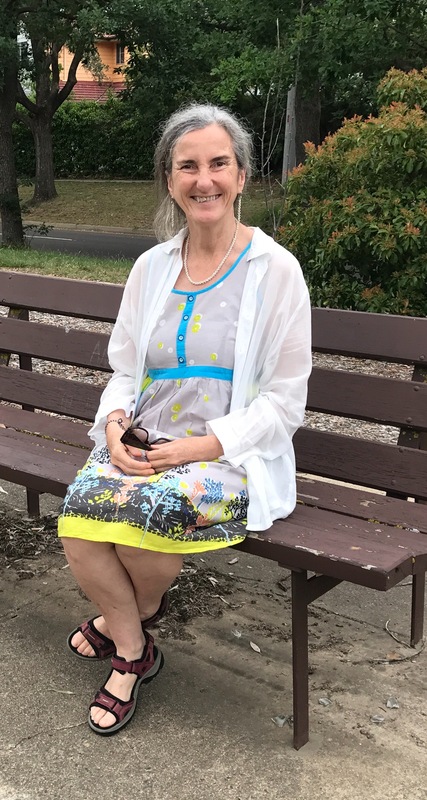 The neurobiologist Jill Bolte Taylor put it eloquently when she described herself as an ‘energy being’, a sensation she experienced when having a stroke at the age of 37. Her TED talk titled ‘A Stroke of Insight’ tells a remarkable story about consciousness and our choices in life. I would like to take this opportunity to thank the tens of thousands of people who have read my first 100 posts on the elements and the fundamental role they play in our lives. Special thanks goes to Ruth Williams and John Dougill for their regular comments and to my husband Tony for supporting my elemental journey. If I was asked for one key message learnt on my journey it would be this: the challenge of our time is to raise the elements, as experiences common to all human kind, from our collective unconscious to our consciousness – and use our connection to nature as a foundation for action. This entry was posted in Aether/Space, Earth, Fire, Japan, Philosophy, Spirit, The five elements, Uncategorized, Water, Wellbeing and tagged Buddhism, China, David Suzuki, Energy, Five Elements, Gorinto, India, Japan, Sense of wonder, Spirit, the elements. Bookmark the permalink. Congratulations on your 100th blog, Jann. It is a fitting dedication to our mother, who very much connected with nature and especially the beauty of a sky scattered with clouds. Your journey of discovery had been a pleasure to share, with your message, to bring our awareness of our elemental nature into the conscious realm, providing an excellent vantage point from which to look to the year ahead.